CLEVELAND, Ohio -- Golf is an expensive hobby. Need you be reminded of the last time you checked out the price of a brand new set of clubs, took off your clothes, ripped some of your hair out, and started running down the street crying, "The cows are magenta, not pink!" It's not the most expensive hobby, but it's not the cheapest either. Let's say it falls somewhere in between polo and, oh, shooting rubber bands at flies. So here you are, mired in a stinky economy with cutbacks at work and mouths to feed, and you just want to find a local golf course where you don't have to pay $50-$60 a round. At the same time, you're not going to settle for a pitch-and-putt course owned by Jeb and Cletus Do-nothing. Manakiki Golf Course, North Chagrin Reservation, 35501 Eddy Rd., Willoughby Hills, OH. (440) 942-2500. What a gem this course is. 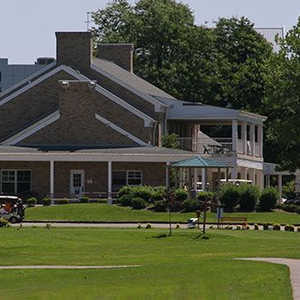 A Donald Ross-designed course owned by the Cleveland Metroparks, it was originally the summer estate of Howard Hanna, a prominent Cleveland industrialist. The property was then obtained by a group from the Willowick Club and converted into Manakiki Country Club, and the Hanna Mansion was expanded into a swank clubhouse. Private from 1944-1960, it became public once the country club's lease wasn't renewed. And what a small price to pay to play a course that a young Arnold Palmer and other PGA Tour players once played. That's right, Manakiki was the host of the Carling Open in the 1950s. Although the conditions could improve, this course, with its hills and valleys and undulating greens, provides some great drama ... at a cheap price. Rates: $14 for nine holes, $24 for 18 weekday peak season; $18 for nine holes, $29 for 18 weekend peak season. 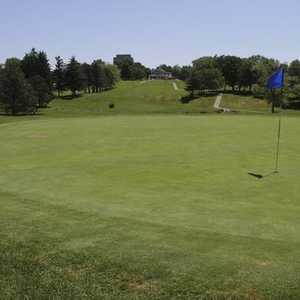 Sleepy Hollow Golf Course, Brecksville Reservation, 9445 Brecksville Rd., Brecksville, OH. (440) 526-4285. Also owned by the Cleveland Metroparks, this course has a Scottish links-influenced design. Many of the greens are so banked they look like flying saucers stuck into the ground. You won't pay more than $30 for your round here, and you get spectacular views of the Cuyahoga River Valley. But you also have to deal with 64 bunkers, lots of downhill lies, and those small, fast greens. Designed by the flamboyant architect Stanley Thompson, it opened in 1925 as a private country club on land leased from the Cleveland Metroparks. The course opened to public play in 1963. The second hole is a 240-yard par-3 that plays to a long and narrow green. Cigar-chomping Charlie Sifford, the first African-American to win a PGA Tour event, used to be the pro here. Pine Hills Golf Club, 433 West 130th St., Hinckley, OH. (330) 225-4477. This may be a public course, but you'll think you're playing at a country club when you see the conditions. Many call this the best public course in Northeast Ohio. And you'll only pay $35 max for a round. Perfectly manicured tee boxes, fairways and greens abound. It offers a true challenge, too - the terrain is very hilly and, true to its name, pine trees line all the fairways. No. 7, a 467-yard par-5, has a blind tee shot. No. 11, a 355-yard par-4, is the number three handicap hole with a deep valley in front of the tee that climbs swiftly to a narrow fairway. Built in 1957, it was designed by Harold Paddock, Sr. The course record belongs to Joe Kruczek and Rick Nemecek, who each shot 63 from the blue tees in 1989. Rates: $17 for nine holes, $34 for 18 weekday peak season; $18 for nine holes, $35 for 18 weekend peak season. Hawks Nest, 2800 E. Pleasant Home Rd., Creston, OH. (330) 435-4611. Rated by Golf Digest as the fifth best public course in Ohio in 1996, Hawks Nest is noted for its supreme conditions. Formerly a 200-acre farm, Steve Burns transformed it in 1993 into a rolling golf course with heavily contoured greens. Several intimidating trees force golfers to make tough choices during their rounds. Better take advantage of the first hole, a straightaway par-4 of 365 yards, because there are not many breaks on the ensuing holes. No. 7, at 522 yards, will force you to take whatever medication you have in your possession. It begins with an uphill drive, then a blind second shot that leads to an approach over a lake and creek to the green. Rates: $13 for nine holes, $24 for 18 weekday peak season; $16 for nine holes, $31 for 18 weekend peak season. Eaglesticks Golf Club, 2655 Maysville Pike, Zanesville, OH. (800) 782-4493. This course demands accuracy due to a heavy cut of rough lining all of the fairways. Water hazards come into play on five holes. What a resume: Golf Digest rated it as the 19th best in the state in 1995-96, the 20th best in the state in 1997-98, the best public course in the state from 1993-1996, one of "America's Top 75 Affordable Courses" in 1996, one of "America's Best Golf Courses Everyone Can Play" in 1996, and one of the top 100 public courses in the country in 2003. The signature hole is No. 11, a 591-yard par-5 that plunges downhill and over a creek, then twists around stands of sycamores to a wide but shallow green. This hole was voted among " The Best 18 Holes You Can Play " by Golf Digest in 1997. Rates: $30 for 18 holes weekday peak season; $40 for 18 holes weekend peak season. My son is 8 and we go to the putting range almost every day and want to get him in golf lessons, does anyone know where a program is where i can get him started. We live in Brookpark, Ohio.